Glittering white snowfakes on a red and black buffalo check 2 1/2" wide ribbon with a wire edge. Nice variation on a classic buffalo plaid or lumberjack pattern! This listing is for a ten yard roll. 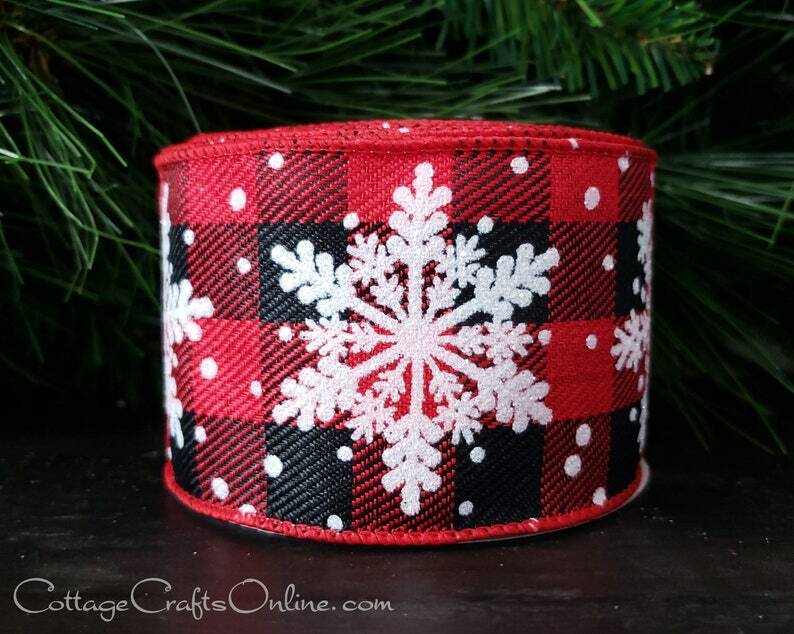 Beautiful reds & black buffalo check ribbon with white snowflakes. I will use this ribbon at Christmas with a brown Kraft paper with white snowflakes on it. I would have purchased more but I got the last two rolls! So happy with my purchase! :) Fast shipping & delivery, too.